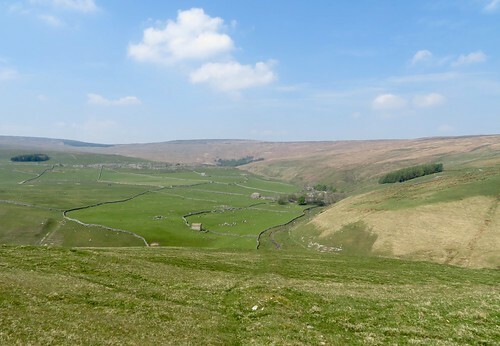 A heavenly morning of warm sun and cooling breezes over the Yorkshire Dales. The soft blue sky was streaked with mare’s tails of cloud, betokening a change in the weather. 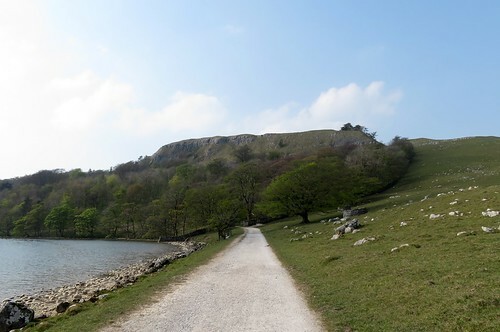 But just now, setting out along the shores of Malham Tarn, we were living in the moment and the day. The wind-rippled tarn was exactly the colour of blued steel. 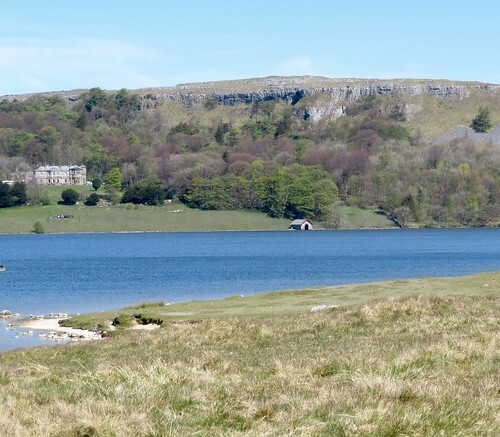 Beyond the water, Malham Tarn house sat handsomely among its trees under the long grey-white cliffs of Highfolds Scar. 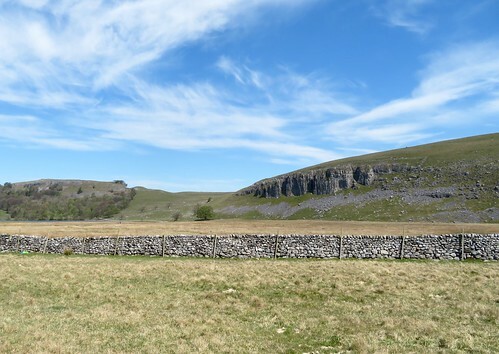 This is all prime limestone country, weathered into rugged cliffs or scars that fall to pastures of rough grazing. The wide pastures of West Great Close and East Great Close were the site of a great fair in times past, where thousands of Scottish cattle would be sold and driven on south to be fattened for the markets of southern England. 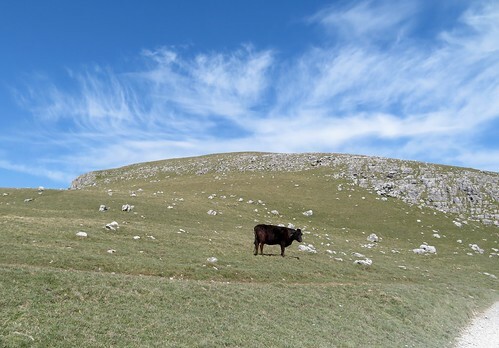 The old drover’s vocation is long gone, but black cattle still fatten in these grassy pastures. 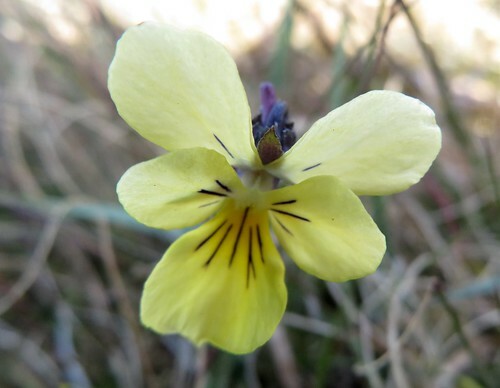 Above Middle House Farm we came into an upland of eroded limestone pavement where the wind blustered and the sun picked out brilliant blobs of colour in the wind-bitten grasses – buttery yellow mountain pansies, stout early purple orchids, spatters of mountain violets, and the intense pink flowers of bird’s-eye primroses. 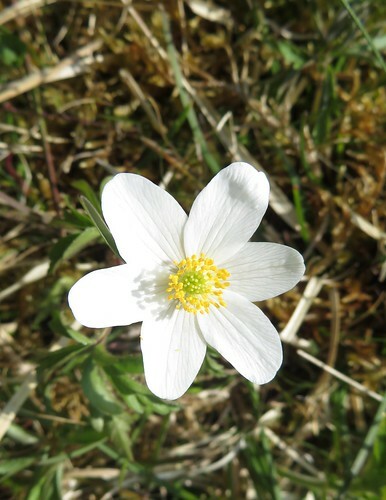 Tucked down in the grykes or hollows of the limestone was a woodland flora, bizarrely flourishing in this open, treeless terrain – wood anemones, dog’s mercury and lush ferns. 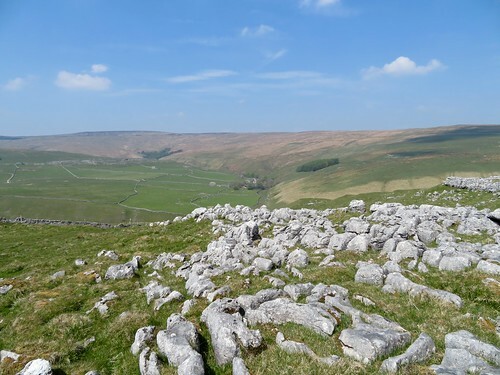 From the watershed we dropped down a long hillside, looking forward to a grand sweep of fellside – Malham Moor and Fountains Fell cradling the long valley of Darnbrook Dale. Down at Darnbrook House the farmer and his son were busy in a farmyard loud with the yammering of ewes and lambs. 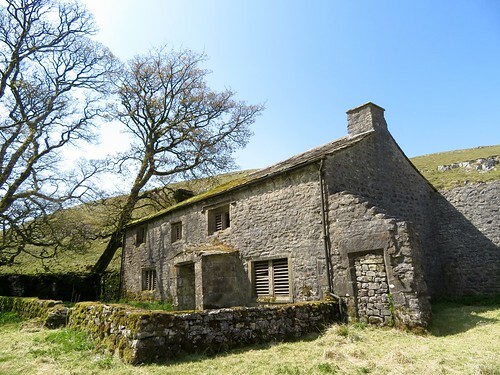 We followed the sinuating dale road past barns and pastures until the straight track of the Pennine Way cut across, leading us along a fellside of wide slopes, lonely barns, and a tangle of stone walls. 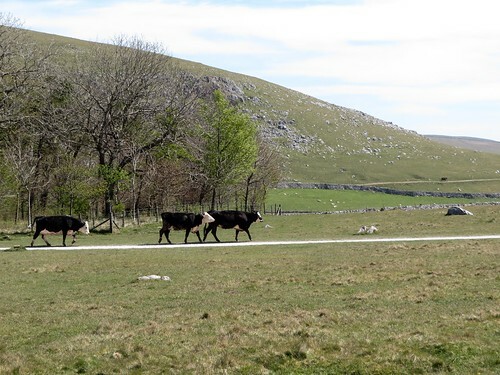 Round the shore of Malham Tarn once more, through pastures where slow-moving cattle browsed the lake margins in the last of the afternoon’s sunshine. 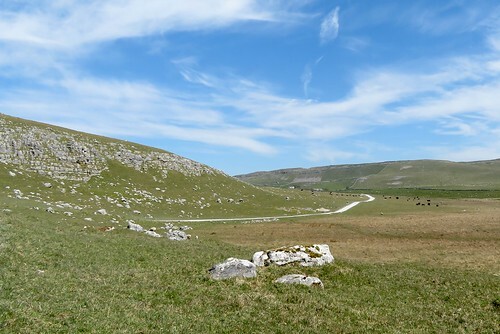 Road – Malham Tarn is signed from Malham (follow ‘Airton’, ‘Kirkby Malham’ from Gargrave on A65 Skipton-Settle road). 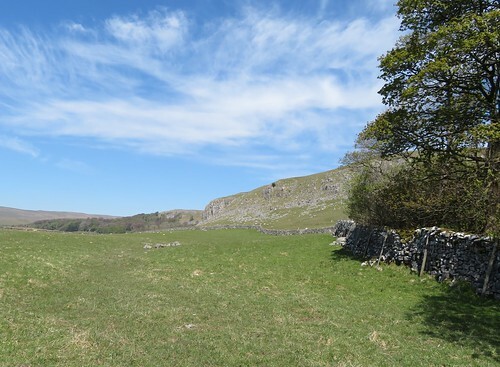 Walk (8½ miles, moderate, OS Explorer OL2): From car park follow Pennine Way/PW (signed) north, skirting shore of Malham Tarn. In 700m meet white stone track (897663); don’t go through gate, but bear right with a wall on left and a round walled plantation up on right. Pass Great Close Plantation, then left (904663, ‘Arncliffe’) up farm track. 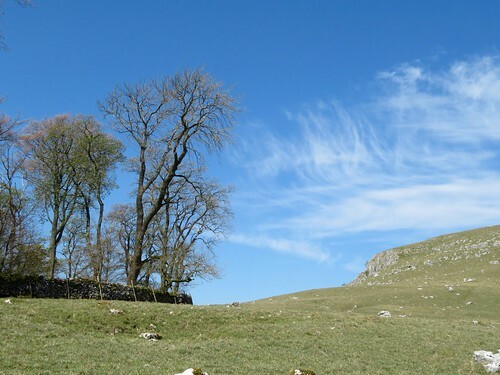 At entrance to Middle House Farm, left over stile (907676, ‘Arncliffe’), up to skyline gate. Follow stony track to pass Middle House ruin; fork left at fingerpost (907684); on for 1 mile over Middle House Hill, descending to go through wall gap (900696). 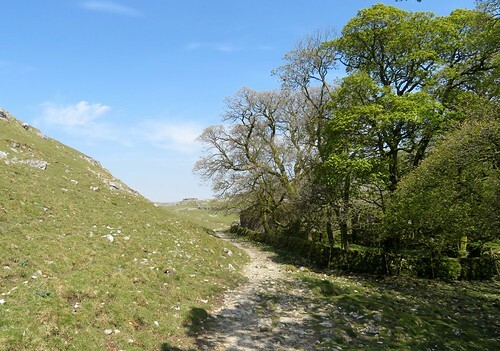 Right to ruined wall; left along it, down to cross Cowside Beck (899701). Field path to road at Darnbrook House (898705); left along road; in 1¼ miles meet PW (884691). 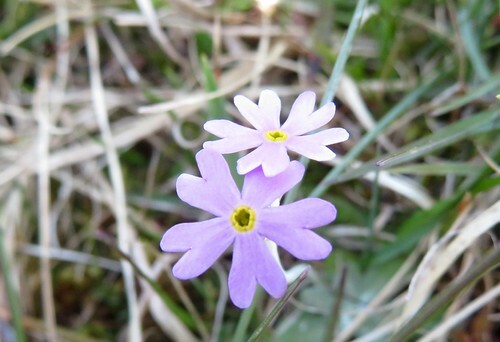 Left on well way-marked PW for 1¼ miles to road (888673); left on PW, clockwise round Malham Tarn to car park.